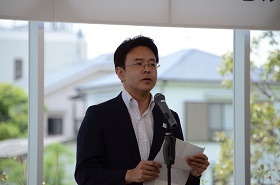 On May 12th, an unveiling ceremony for the new Geishinryo Residence Hall, which opened this April in the Towa area of Adachi Ward, was held in the Exchange Salon within the hall. 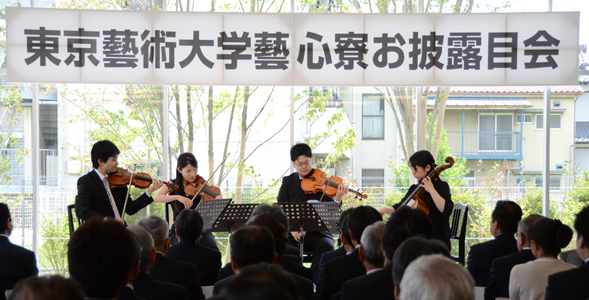 The ceremony was attended by more than 70 people, including representatives of the Adachi Ward Assembly led by Mayor Kondō Yayoi and Ward Assembly Chairperson Baba Nobuo, representatives from the local residents’ association, Mori Masayuki from the Ministry of Education, Culture, Sports, Science and Technology (Head of the Facilities Planning Division of the Department of Facilities Planning Administration), other close associates of the university, and representatives from partner enterprises. 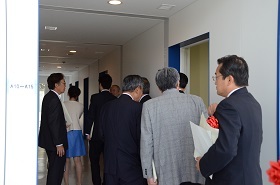 Attendees from the university included President Miyata Ryōhei, the Officials, the Vice Presidents (Education and Research), and the Deans of the Faculties of Fine Arts and Music. Key features of Geishinryo include its 24-hour art studio and music practice rooms, as well as its acceptance of students studying at neighboring universities in Adachi Ward. 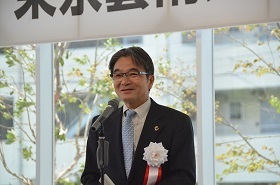 At the ceremony, President Miyata stated that, “The Hall will not only produce future generations of artists but also students versed in science and other disciplines.” He added, “Today represents the first step in the creation of a new chapter of history.” After the President’s speech, Mori and Mayor of Adachi Ward Kondō Yayoi offered their congratulations on the completion of the hall. At the end of the ceremony, students and graduates from the Faculty of Music held a string quartet performance, which was warmly received by the guests in attendance. 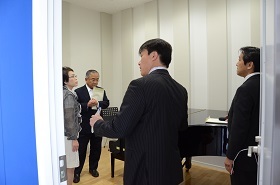 After the ceremony, the guests, led by faculty members and the facility providers, were invited to look around the hall, viewing the music practice rooms and art studio. 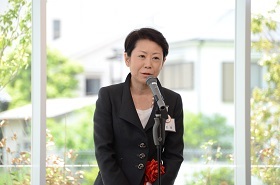 The reception that followed began with an address by Koshikawa Michiaki, the Vice President (Education). 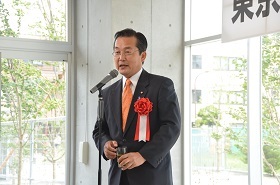 In his address, the Vice President announced his wish to create a wealth of opportunities for exchange between students residing in the hall and local residents.the Ward Assembly Chairperson Baba Nobuo then gave a humorous and well-received speech. Lastly, a shout of “cheers” was heard as the speeches gave way to jovial conversation. 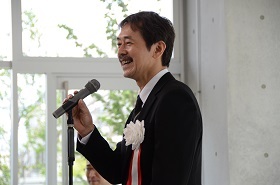 The reception was held, amid a warm and friendly atmosphere, in which a congratulatory telegram from Maekawa Akio, the Mayor of Nerima Ward, was read out. 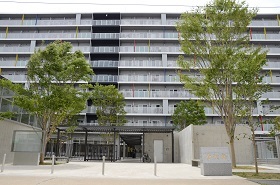 A residence hall in Nerima Ward (Shakujii-ryo) was closed down at the end of March.